When are the best times to stargaze? Winter, early Spring and late Autumn are the best times for stargazing as it gets darker earlier and stays dark for longer so stargazing can start all the sooner. However it is possible to go out in the Summer as long as you don't mind staying up late. There are all kinds of stargazing experiences you can have. You and your family might just want to do something different and get have the experience of being outside at night. I can make sure that you are safe and comfortable. You might want to have a fire to keep warm and stories and activities which help you learn about planets or the moon. ​If you live in a city you might not have seen a really dark sky before and would like a bit of help identifying stars, constellations and finding our galaxy, the milky way. We can use my astronomy binoculars to give you a closer view. Spotting the International Space Station (ISS) with Tim Peak and the other astronauts aboard might be what you would like to do. I can point you in the right direction. You might want to celebrating a special birthday or anniversary where I can find you a birthday star, arrange a birthday cake or a special picnic and make it a truly memorable experience. I will help set something up so that you can enjoy your star watching experience. Unfortunately there is nothing that I can do about the weather however I try to be as flexible as possible on dates, times and places to give you as good a chance as possible to see some stars. I also have alternative activities that allow us to have a dark sky outdoor experience whatever the weather. ​I am one of the first Biosphere Dark Sky Rangers to be appointed. 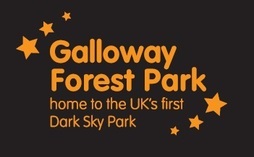 I am recognised by Galloway Forest Dark Sky Park and the Galloway and Southern Ayrshire Biosphere and can therefore offer a wide range of creative, environmental, space and star activities suitable for all ages and not just in the Dark Sky Park or Biosphere. My activities range from home made rockets, stargazing and moon watching to camp fire evenings. 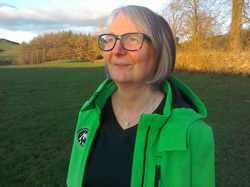 I work with individual families and with local communities and businesses to increase their appeal to families. I look forward to working with you.